Rajaji National Park is an Indian National Park that is situated at the foothills of Himalayas that incorporates Shivalik range and spreads over 820kms. 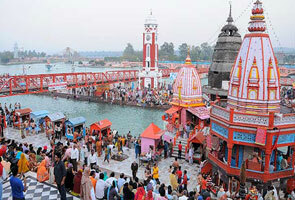 The National park encompasses three important districts namely Haridwar, Pauri Gaharwal and Haridwar. The National park saw its inception in the year 1983 by the amalgamation of three important sanctuaries- Raja ji Sanctuary, established in 1984, Motichur Sanctuary established in 1964 and Chilla Sanctuary established in 1977. The Raja JI National Park has been named after C. Rajagopalachari who was the prominent leader of the freedom struggle. He was also the second and the last Governor General of Independent India. He earned many accolades to his name and was one of the recipients of highest order of civilian award- Bharat Ratna in the year 1954. 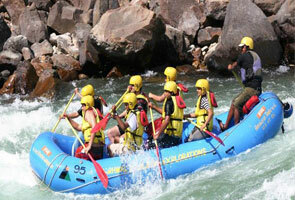 The Jeep Safari in the region is done in the Motichur Range and Chila Range The opening timing of park is 6a.m. till 11a.m. Thereafter the tourists go for booked full day safari rides. They spend time at rest house and in watching birds. In the afternoon park timing is from 2:30 p.m. to 5:30 p.m. The park timings are subject to change depending on the change in season. Details to which can be fetched from park authorities. All the safari rides are booked by the Forest Authorities. So, in order to book them tourist ought to get in contact with the authorities at the mentioned time. Bookings ought to be done afore hand. 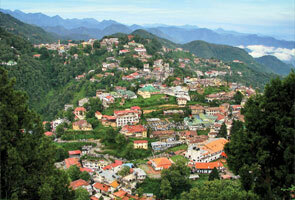 The place is rich in flora with tropical and sub-tropical moist broad leaf forests. Treading to the Upper Gangetic Region, thick deciduous forests largely sprawls itself over an extensive area with varieties of other floral species, turning out to be an attraction point for the travelers. Tourists get a chance to explore the diverse and varied floral diversity here as in Shorea, adian, mall outs, acacia, dalbergia, bridelia, syzygium and phoebe. The rich, dense flora of Rajajji national park is a resting place and natural habitat for many animals. The wild species of animals that are found here are Bengal tiger, Leopard, Jungle Cat, Asian Elephant, Goral, Sloth bear, Indian Hare, King Cobra, Barking Deer, Wild Boar, Jackal, Sambhar, Indian Langur, Rhesus Macaque, Monitor Lizards, Python and Indian Porcupine. For bird lovers, Raja Ji National Park offers wonderful sight of 315 bird species. Few prominent avian species that are major source of attraction are woodpeckers, hornbill, pea fowl, pheasants, barbets and kingfishers that are supplemented by numerous migratory species during the month of winters. Further, the rivers flowing by the national park make this place rich for species of fish like trout and masher. Winters- The winter season here commences from the month of October and last till February. With chilly night and sunny days this place has become a hotspot for stream birds like Himalayan Pied Kingfisher, Plumbeous Red starts and White capped that adds fun to the mesmerizing excursion of travelers. Large numbers of birds migrate here. 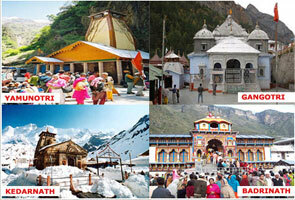 So, if you planning to visit here during winters then affirm to carry a warm jacket, hat, binocular and gloves. Spring- Spring season begins here from March to April. This season offer pleasant weather with local showers taking place that leads to bird chirping and peacocks dances. It is an awesome view to see the birds in their best moods. It is good time for outdoor trek and overnight camping in the wilds. Do carry camping guide book, backpack and good trekking shoes. Summer- Summers happens to fall from May to June. It is ideal time for photography. Though days here are hot but nights are Pleasants. Do carry shorts, t-shirts, hats, sun glasses and lots of water to avoid de-hydration. Monsoon – The rainy season here commences from July and terminates in the month of September. Entire national parks look pleasant with lush emerald setting of nature that truly leaves an enchanting impact. The serenity is overshadowed by nature’s thunder, lightning and heavy rains. For animals this the merrymaking time as they tend to be in their best moods in this season. It is important to carry rain coats, shorts, floaters, T-shirts and gumboots. The parks stays opens twice the year from 15th November to 31st March and from 1st February to 15th June every year.